Phalaenopsis, or moth orchids, are tropical, epiphytic orchids that thrive in low light and typical household temperatures. While you can obtain these orchids from garden centers and grocery stores fully grown, adventurous gardeners can grow them from seed at home. Phalaenopsis orchids require a well-draining growing medium enriched with mycorrhizal fungi to germinate and grow successfully from seed. Phalaenopsis has gently arching stems with flat, moth-like blossoms that bloom in a wide variety of brilliant and pastel colors. 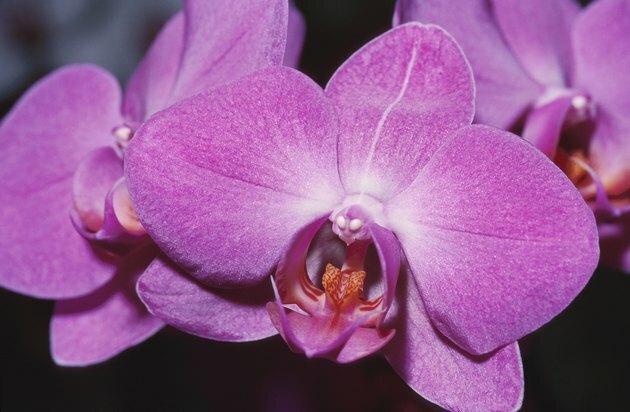 Cultivate Phalaenopsis orchids from seed. Combine 4 parts peat moss, 3 parts sphagnum moss, 1 part perlite and 1 part mycorrhizal fungi granules to create a well-draining, soilless growing medium that will encourage the Phalaenopsis seeds to germinate successfully. Add the soilless growing medium to a 4-inch planting container; choose a container with at least two 1/4-inch holes in the bottom to ensure healthy drainage. Hold the planting container under room-temperature running water until you see it streaming from the drainage holes. Leave the container in the sink for five to 10 minutes to allow any excess water to drain from the growing medium. 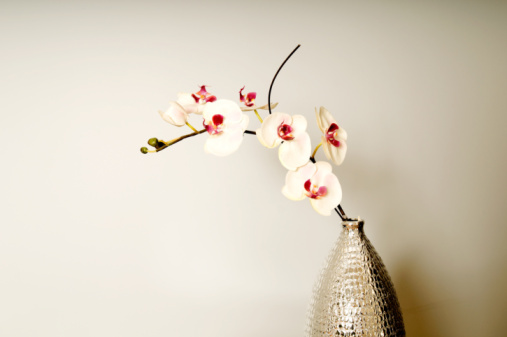 Mix the Phalaenopsis orchid seeds with 1/2 cup of fine horticulture sand; pour the mixture into an old salt or pepper shaker with holes large enough to admit the small seeds. Sprinkle the sand and seed mixture evenly over the surface of the moistened growing medium. Position the seeds in a site that receives filtered sunlight for at least five hours a day. Water the Phalaenopsis seeds as often as necessary to keep the growing medium lightly moistened; provide 1/2 cup of water each time you irrigate. Transplant the Phalaenopsis seedlings to individual 6-inch planting containers when they grow to 6 to 8 inches. Fill the containers with a mixture of 4 parts peat moss, 3 parts sphagnum moss, 2 parts loam, 1 part perlite, 1 part redwood bark and 1 part mycorrhizal fungi granules. Plant the seedlings at the same depth they grew in their original container.